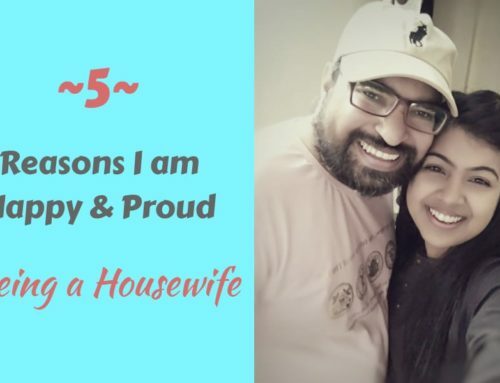 Hello Friends, hope you all are finding my posts good to read and I am sure some of you can relate to them too. 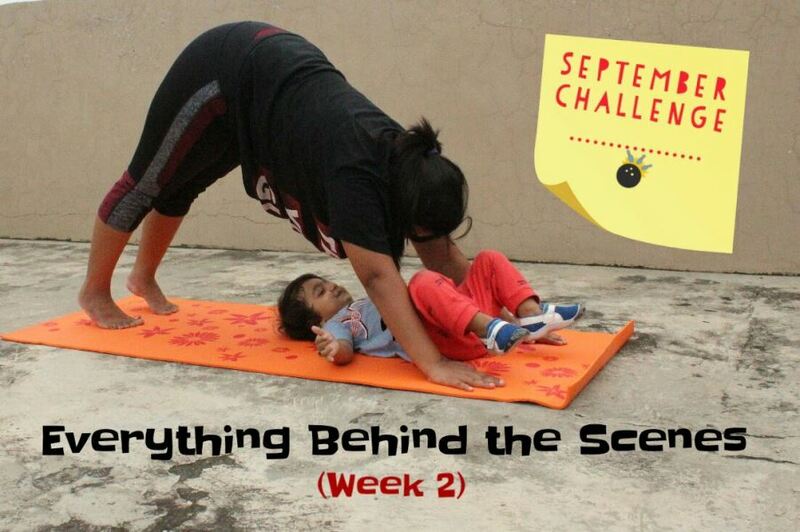 The series I am doing ‘September Challenge-My Weight Loss Journey’ is very close to my heart, the efforts I am putting in my workout sessions are genuine and I really really want to leave my old self and see myself as a Happy, Healthy and Fit mommy at the end of this month. 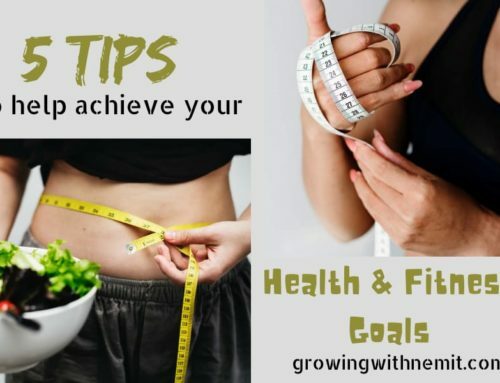 I know the fact that losing weight is not easy especially when you are a mom having a baby who needs your attention 24 hours 7 days a week, when you are a woman and have to deal with quirky hormonal issues every now and then and above all when you feel like a hungry lioness all the time even after getting all your meals on time. 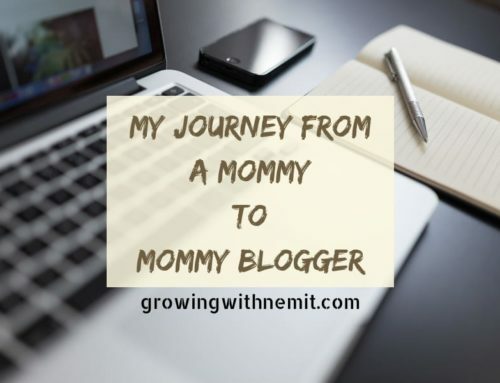 This is getting difficult and more challenging as the second week of my journey has ended; I want to take a moment rather I would take this whole post to reflect on what is going on behind the scenes of this journey and what else I am doing to make it work. Hope to get lots of positive vibes and motivational comments to pump up my weight loss journey. We have this beautiful Floral Yoga mat from Strauss, you can check it here for more details! To start with, I want to share my routine and what changes I have made in my diet to complement my work out regime. My work-out week starts from Tuesday, yes because Sports Complex stay closed on Sundays and Mondays. Tues/Wed/Fri/Sat – Morning 45 mins swimming session. Tues/Wed/Thurs/Fri – Evening 60 mins Aerobics class. Rest of the days I stick to 15-45 mins of Walking. These days are my rejuvenation days and I prepare my body and mind for the next week. 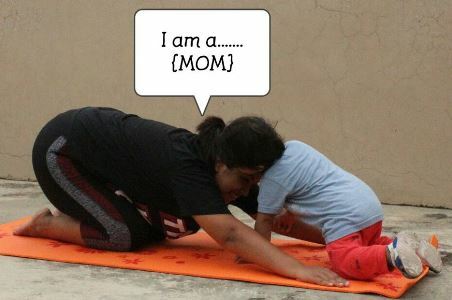 I am not dieting; I can’t as I said earlier I feel hunger pangs all the time and my toddler still breastfeeds. Before and after work-out meals play a crucial role, pre-workout snack is important to fuel the muscles and provide enough energy to stay on your toes through the session. What snack to choose and the portion size depend on the intensity of the workout. Similarly, post-workout recovery snack is as important to replenish the lost carbohydrate stores of our body and proteins for muscle recovery. Swimming is considered a light low impact workout; hence I stick to a banana only, 30 mins prior to my session. After a 45 min swimming session, I take a glass of skimmed milk without sugar, and after an hour indulge in light breakfast. Aerobics is more intense cardio; I take handful of mix nuts and a serving of any fruit 30 mins prior to session. After a high intensity workout one should take carbohydrates and proteins within 30 mins after finishing the session. I take a glass of milk shake with 3-4 Threptin biscuits. To know more about about these high calorie protein supplement, Click Here! I am going really light with my breakfast and dinner but take a good lunch which mostly includes 1 chapatti, 1 small bowl of rice, 1 small bowl of dal, 1 serving of vegetable, salad and yogurt. Keeping your body hydrated is equally important to bring the best out of your workout. Don’t eat snack and drink water simultaneously as that can result in some nasty enzymes develop in your stomach and make your body feel bloated or can result in acidity. Always have water at least 15-20 mins after your pre and post workout snacks. That’s the routine and diet I am following. 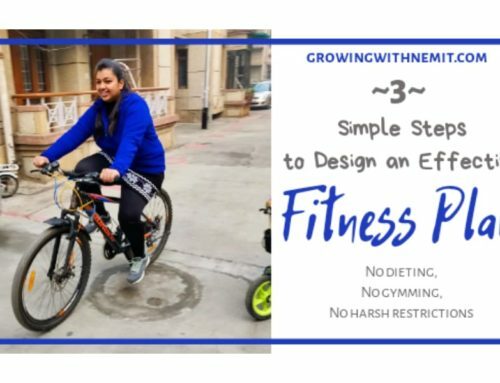 Now that I have already shared some facts and tips about walking and swimming in my previous post – Story behind the weight, it’s time to know more about Aerobics- my hectic evening workout sessions. Any activity which is done more than a few minutes while heart, lungs and muscles work harder and lots of sweating is there, is known as ‘Aerobic exercise‘, also known as ‘Cardio‘. Below is the snapshot I took from my trainer’s diary, the day when I almost fainted from the exhaustion of 5-minute high intensity fat burning ‘Tabata Workout‘. This is the hardest exercise to choose where one can experience symptoms like passing out after being repeatedly punched by someone, yes that’s what I felt during a 15-minute session. ‘But that’s worth it‘- as exclaimed by my trainer. The results you can get from 5-minute of Tabata are equivalent to an hour of running. The trick is to choose 5 different cardio activities and go as hard as you can, one activity for 50 secs and then rest for 10 secs, then second activity for 50 secs and rest for 10 secs, continue same with all the 5 activities. Beginners can start with 5-minutes of tabata twice a week, but as my trainer is quite strict and know that we have stubborn fat and during a 5-min workout we will work for only 2-3 min and will spend rest of the time pulling ourselves up, she started with a 15-min workout. So, the 15-min workout had 3 sessions of 5-min each, having different set of exercises. Now let me share the truth also, I was almost dead in the last session and couldn’t stand even for 2 mins. So, I will say start with only 1 session of 5-minutes twice a week and then 2 sessions of 5-minutes twice in the next week and increase it so on and as per your capability. BUT…. Always Listen to your Body, The Body never Lies. Stop and take rest if you feel like dying…I mean don’t over-exert yourself at any point of time, push your body to the limits you can handle. Happiness is…….doing nothing still having so much fun! I am gearing up for next week’s workout session, hoping to see some weight loss in the 3rd week of September Challenge. If you like this post, please comment and share to show some love. Thanks! 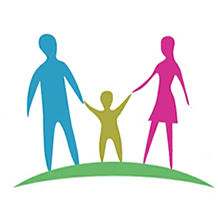 Subscribe to us to get direct updates in your mail. You are doing great, keep your spirits high. My wishes are always with you. Nicely written. 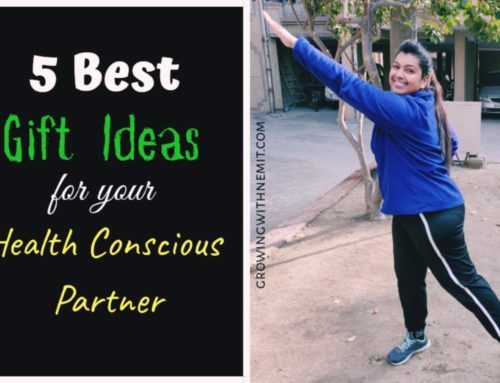 Getting inspired for workout Neha!!! Good going! Working out requires so much commitment and dedication I feel you! All the best? I love you spirit. You are an inspiration to so many of us who keep thinking of when to stat a workout regime. kudos to you. Thanks so much preetjyot, every word coming from you means a lot to me. Wow!!! I love your workout regime. I have started to learn swimming this month too. I was training 3 days for HIIT and the entire TABATA routine is surely exhausting but yes, it gives amazing results. I also used to do weight training and it has helped to tone my body. 3 days I used to practice Ashtang Yoga. It has helped immensely to improve flexibility and now I am able to perform the sirsasana well. But this month since i am learning to swim I have taken a break from this exercise regime and Will start again next month. Your post made me want to hit the gym again. Thanks for sharing your exercise routine Aesha, I am also thinking about including 30 mins of yoga and 15 mins of meditation in my daily regime. I would say you are doing great and you have just given me a motivational push. Thanks dear. I know it is very difficult to maintain this routine, many days I don’t feel like going out and some days I eat uncontrollably but I think that’s all part of the journey. My wishes to you Khushboo. This Tabata workout things seems really a hard hitter. All the best for your challenge. Woww. Kudos to you!! I have never had to work hard to lose weight.. but i do need auch determination for many other aspects of my life. Thanks for stopping by Rashmi, much power to you. What an intensity loaded post! Love the spirit. It’s amazing how the little one web’s into the exercising zone :). Thanks Manveen, I am actually quite amazed to see how Nemit has accepted the whole thing so easily. These kids are just unpredictable. wow you are doing great with your workout schedule, i am extremely bad at it though! First of all, those photos are way too cute for words!!! 😀 Secondly, you’re doing great mama and the fact that you’re sharing this journey as you encounter it will motivate so many of us! Honestly, I really feel you are doing well and just keep at it! We are all rotting for you! Each and every word means a lot to me, I knew I will need a lot of motivation during this journey that’s why decided to write about it. Thanks for your kind words Shubhreet ? 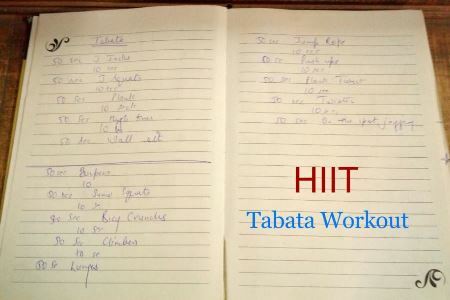 I have never heard about Tabata work out but it looks like something which can be tried. I like your dedication and this post id so inspiring. Neha.. I am going to refer to this series, post delivery of my second baby. You are doing some amazing work. Kudos to you, mommy!